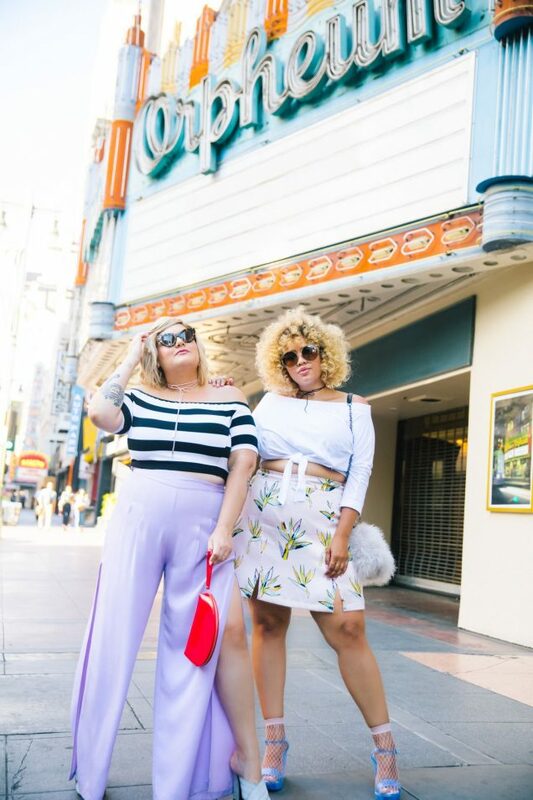 Nicolette Mason and Gabi Gregg, two of the most visible plus-size fashion bloggers in the game, understand that shopping while curvy can be a frustrating experience. Few plus-size brands offer the kind of fashion-forward clothing that’s available — en masse — to women size 8 and below. 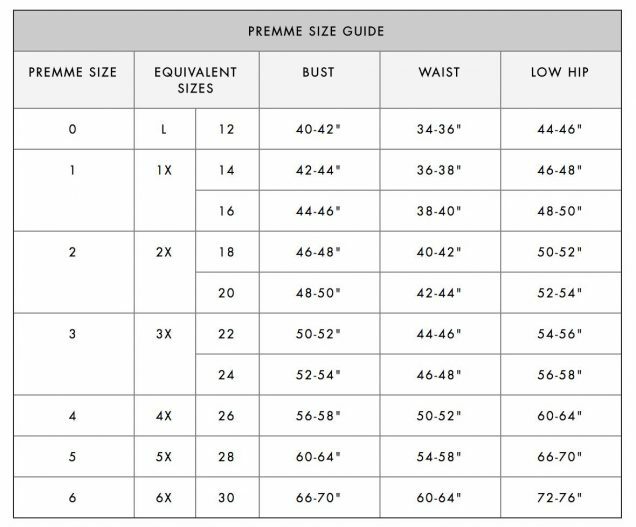 Trendier spots that do offer extended sizing (like ASOS and Topshop) tend to offer these sizes in limited quantities. Thus, pieces sell out quickly. In hopes of remedying this issue and giving back to their formidable fan bases, the BFFs joined forces to create their own line, dubbed Premme (because it unifies the ideas of “premier” and “femme, feminine, feminist”). The duo’s first collection (which took about eight months to realize, after two-odd years of scoping out business partners and generally getting their ducks in a row) consists of 15 fresh, colorful pieces. Another 26 will drop in early September. “We think too often it’s about hiding your body and covering up; this collection, and our brand in general, is not about that,” Gregg said. “We’re about having fun and experimenting with color and patterns and designs and cuts that you don’t always see in plus, things that we’re not told to wear. 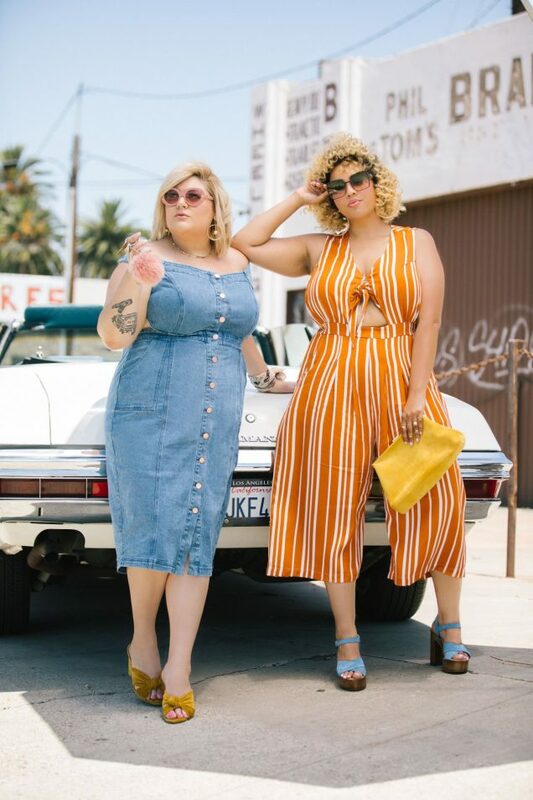 We want to take risks.” Our favorite pieces include the slide-slit lavender trousers, striped culotte jumpsuit and Alexa Chung-esque denim dress. All of Premme’s cleverly constructed offerings ring in below $100. 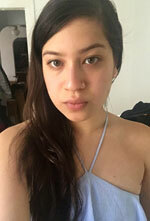 (Prices range from $30 for a white tee to $89 for a denim jacket emblazoned with the words “Feminist AF.”) Each item of clothing is available in sizes 12 to 30, although they’re not labeled as such. Like lingerie brand Neon Moon, Mason and Gregg decided to create their own sizing parameters and labels. See below. Like most fledgling brands, Premme still has a few kinks to work out. To wit: at 8 a.m. this morning, about two hours after the label’s e-commerce site went live, it crashed due to demand. Additionally, most of the admittedly sparse debut line has already sold out. Still, we’re confident Mason and Gregg will pull a Kylie and overcome these challenges. Hurry and you may still be able to nab a couple of pieces here.